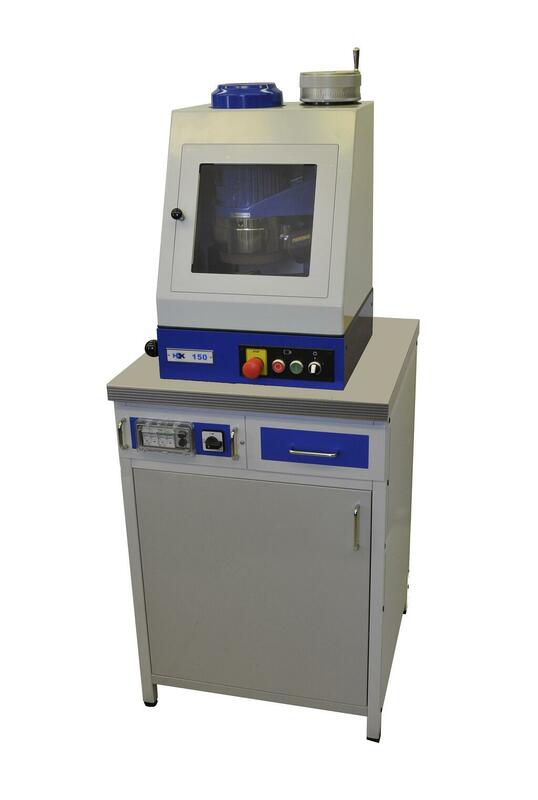 The HK 150 is a manual pendulum grinder for the surface preparation of metal alloys for analysis by X-ray Fluorescence (XRF) and Optical Emission (OE). The system is designed to quickly grind a flat and reproducible sample surface to optimum analysis. The grinding head can be adjusted in increments of 0.1mm for optimal control. The unit can be equipped with several different holders to accommodate samples of various sizes. 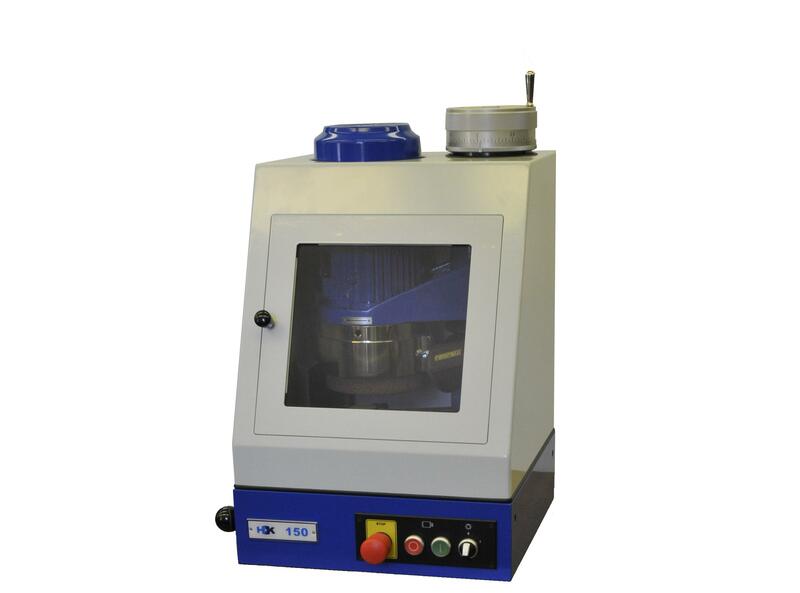 The unit can also be fitted with different grinding wheels to accommodate different materials and sample finishes. grinder is fully enclosed and can be connected to a dust exhaust system for optimal safety and cleanliness. The HK 150 is a fast, simple and robust solution for your metal sample preparation needs. The HK 150 is available as a bench top system or with a cabinet, integrated spark trap and exhaust system (HK150 EXS).